Memphis is the largest city in Tennessee with a population just over 650,000. It’s also one of the most well-known cities in the Southeast because of the music careers it birthed. But there are other qualities that make Memphis a great place to live. Check out the 12 things you should know before moving to Memphis. 1. THE BIRTHPLACE OF MAJOR AMERICAN MUSIC. 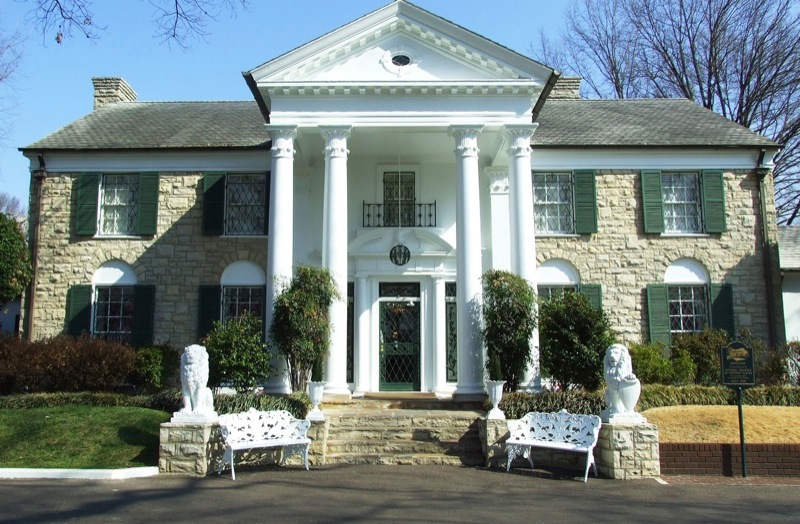 One of the most popular attractions in Memphis is Graceland, the mansion where Elvis Presley lived. It’s fitting, too, seeing as Memphis is referred to as the birthplace of rock ‘n’ roll. It’s also home to the famous Sun Studio, where Roy Orbison and Johnny Cash recorded some of their landmark songs. Not to mention, Aretha Franklin, Jerry Lee Lewis, and B.B. King all got their start in Memphis in the ’50s and ’60s. Basically, Memphis saw everything from country, rock ‘n’ roll, jazz, blues, soul, and gospel in its heyday. Once a gritty place for gambling, prostitution, and voodoo in the 1920s, the famous Beale Street is now the lifeblood of Memphis culture. Lined along this famous part of town are a variety of music clubs, cafes, and and shopping venues. Beale Street is also home to multiple festivals and events, including Beale Street Music Festival (which kicks off the month-long Memphis in May), International Blues Challenge, Memphis Holiday Parade, MemphisJams, and Silky O’Sullivan Beale Street St. Patrick’s Day Parade. There’s no need to travel all the way to the East Coast for theatre when Downtown Memphis has The Orpheum Theatre. Built in 1890, the Grand Opera House (as it was called) originally showcased vaudeville performances. After becoming part of the Orpheum Circuit in 1907, it became known as The Orpheum. Today, it has everything from Broadway dramas and musicals, beautiful ballets, side-splitting comedy stand-up acts, and a classic movie series. The Orpheum also has the Centre for Performing Arts & Education, where students can take courses in technical lighting and sound and attend theatre and musical workshops. 4. FUN AT THE MEMPHIS ZOO. Children, families, and animal-lovers will find themselves in paradise at the Memphis Zoo. With exciting exhibits like Cat Country, Crocodile Cove, the Dragon’s Lair, Pelican Pool, and Primate Canyon, you can see animals from all over the world without ever leaving Memphis. The zoo also features an exhibit called Once Upon a Farm, which contains more familiar animals, such as donkeys, ducks, sheep, and goats. 5. SAMPLE THE LOCAL BREWS. In recent years, Memphis has become a popular place for brewing craft beer. A favorite is Ghost River Brewing, which uses clean, mineral-free water from the Memphis Sands Aquifer for creating a variety of beers, including Golden Ale, Glacial Pale Ale, and the GABF Silver Medal-winning Copperhead Red. 6. ALL ABOUT THE BBQ. Did you know Memphis is a BBQ city? Locals love Central BBQ, which has three locations in the area and is known for its slow-smoked meats. Central BBQ consistently tops the list of best BBQ in Memphis and even makes larger national lists, like Forbes’ 10 Great BBQ Joints Across America. Of course, there are other joints worth checking out, too, like Tops Bar-B-Q and Corky’s Ribs & BBQ. Even more notable is that Memphis hosts the World Championship Barbecue Cooking Contest each year, where hundreds of teams compete for $110,000 and media outlets like BBC and Food Network come to cover the event. 7. HIGHER EDUCATION IN MEMPHIS. The big university in the city is University of Memphis, which offers programs in nursing, law, technology, fine arts, and engineering. The school also has famous alumni, such as actress Kathy Bates, NFL players Stephen Gostkowski and DeAngelo Williams, and renowned pianist Mulgrew Miller. Other schools in the area include Rhodes College, University of Tennessee Health Science Center, and Memphis College of Art. Attend school in Memphis? Check out how simple college storage can make moving home for the summer, studying abroad, and making moves between apartments. The headquarters for FedEx are in Memphis. The company employs more than 30,000 in the area alone. Beyond FedEx, there are plenty of career opportunities with Shelby County Schools (the unified public school district in the city), University of Tennessee, the state and federal governments, AutoZone, ServiceMaster, Methodist Healthcare, and St. Jude Children’s Research Hospital. 9. NATIONAL CIVIL RIGHTS MUSEUM. Some of America’s most important chapters in the Civil Rights movement took place in the Southeast, which is why Memphis has the National Civil Rights Museum to honor the efforts of Rosa Parks, Martin Luther King Jr., Medgar Evers, and those who contributed to the fight for racial equality in the U.S. Permanent exhibitions focus on slavery, student sit-ins in the 1960s, Freedom Rides, and Black Power. 10. FOR LOVERS OF ART AND NATURE. Whether you want to examine paintings by Monet or take a stroll through oaks and hickories, The Dixon Gallery and Gardens has something for you. This museum and garden was founded by Hugo and Margaret Dixon and houses a permanent collection of French and American Impressionist artwork, as well as a 17-acre public garden. It even has drawing courses, special collection exhibits, yoga classes, and wine events. 11. BASKETBALL, BASEBALL, AND RACING. When most people think of Memphis and professional sports, the NBA immediately comes to mind since the Memphis Grizzlies bring down the house at the FedExForum arena. But there’s also the Memphis Redbirds, the local Triple-A minor league baseball team, at AutoZone Park. And there’s Memphis International Raceway with fan favorites like the Super Chevy Show, IHRA World Finals, and Fun Ford Series. 12. EXPLORE THE MIGHTY MISSISSIPPI. Memphis is often called “River City” since it sits on the Mississippi River. This also means residents and visitors alike can take in the river’s beauty. There’s the 90-minute Memphis Riverboats sightseeing cruise where you can learn about Tennessee’s history and life on the Mississippi, or you can enjoy an evening dinner cruise for two hours with a buffet-style meal and a house band that plays jazz and blues. These tours are especially good for Valentine’s Day outings and watching fireworks on the 4th of July! Is there anything about living in Memphis that you would add to our list? If you’re moving to Memphis, TN, and need storage space to help with the transition, view Storage.com’s directory of storage units in Memphis.